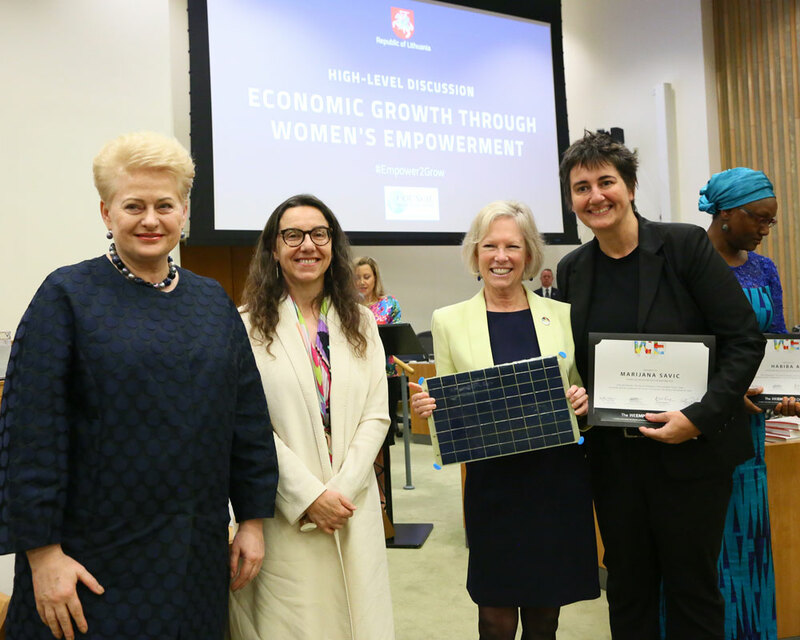 The Institute for the Study of Human Rights congratulates Human Rights Advocate Marijana Savić on being named one of five female entrepreneurs to win the first WE Empower UN Sustainable Development Goals Challenge for their efforts on advancing Sustainable Development Goals (SDGs) and advancing the position of women and girls in society. Savić is the founder and director of ATINA - Citizens Association for Combating Trafficking in Human Beings and All Forms of Gender-Based Violence. ATINA promotes women’s and children’s rights within the developing social and political environment of Serbia, specifically advocating for victims of trafficking, sexual abuse, labor exploitation, discrimination, and violence. Savić also launched Bagel Bejgl Shop, a social enterprise whose profits are used for programs of direct assistance to victims of human trafficking in Serbia. Savić joined the Human Rights Advocates Program at Columbia University in 2018.